Stay up to date while admiring your most treasured photos! 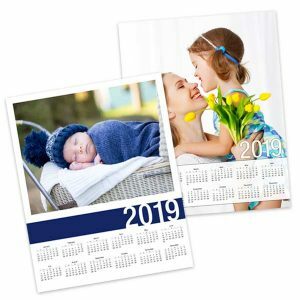 Personalized photo calendars from Photobucket Print Shop are available in several styles and are perfect for the home or office. Create your own collage for each month or choose a single favorite photo to make your own poster calendar. 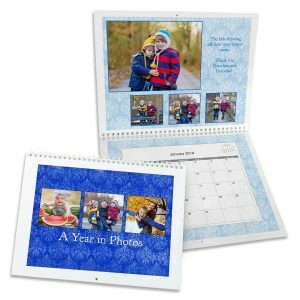 We have several custom options to choose from so you can create the perfect calendar to brighten your day all year long! Spiral bound calendars are a classic to hang on your kitchen wall or by your desk at work! We offer several templates in various colors and designs to accent your photos for each month. Our 8.5×11 photo wall calendar is perfect for keeping in your kitchen while our 12×12 custom printed calendar is great for your office or for small businesses. No matter the size you choose, you can personalize each month with photos and even add text to each calendar date. Include birthdays, anniversaries, or important events to make your calendar uniquely your own! Photobucket Print Shop’s photo poster calendar is perfect for adding a little character and color to any drab wall. Measuring 12×18 inches, it can be tacked to any wall, door, or bulletin board to easily check on random dates throughout the year. We also offer various layouts so you can add a series of photos to give your calendar some personality. Many customers like adding photos taken throughout the past year to give it a fun, seasonal look. Our single sheet personalized calendars are ideal for quickly glancing over the upcoming months and planning future events. Maybe you want to see when the third Saturday of the month will fall, or see what day of the week you’re birthday will be this year. Our 8×10 photo calendar is portable and can be kept with you to keep your schedule on track. Choose from single photo layouts, or create a collage with your favorite photos to add your personal touch. 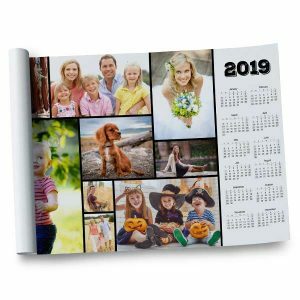 Not only can an 8×10 page calendars from Photobucket Print Shop be hung on a wall, they can be displayed in lockers, hung with a magnet on your fridge, or kept in your favorite binder or notebook for easy reference. They’re perfect for students or to keep around the office for a quick look at the upcoming weeks and months. 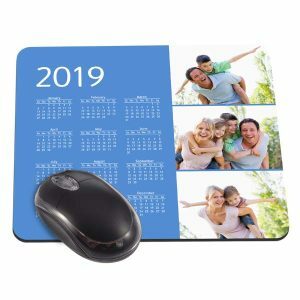 The quintessential office gift, our calendar mousepads can be custom printed with digital photos to liven up the work day. Keep up with days of the week while adding a little character to your desk. We offer several templates. Print a full photo layout or a collage of up to four favorite photos. They’re great for keeping your memories close, even during the work day. Add your kids’s school photos or a few fun, family memories uploaded from your phone. In addition to ordering photo prints online, you can use them to create a variety of personalized products at Print Shop that are both useful and full of character! Our photo calendars are no exception and you can easily upload any photo to make your own calendar for yourself or a loved one! For our spiral bound calendars, you can create a different layout for each month. Many customers like to add seasonally themed photos that relate to each month for a fun stroll down memory lane! Add your kids trick-or-treating photos to your October collage, their first day of school pictures to September, and your family summer vacation photos to July. Our spiral calendars are also great for natural landscape photos. You can incorporate last year’s fall foliage pictures for November or your first snowfall photos for February. The options are endless! If you’re creating a poster calendar or our single sheet option, you can select an all-time favorite photo and have it printed full page. Or, design a collage of random photographic treasures to give it a boost of character. Trying to find the perfect gift can be a daunting task at times. Whether it’s the holidays or a loved one’s birthday, you want to find them something that’s unique or useful. 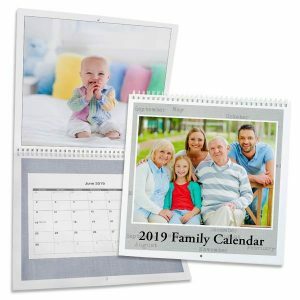 Our customized photo calendars are the perfect gift idea since they’re designed with treasured photos and can be used for schedule planning too! Everyone needs to keep up with appointments, events, birthdays, and anniversaries, so our calendars make the perfect gift for anyone on your shopping list! For Mom’s birthday, you can browse your phone and upload your favorite photos from the past year. Include holiday moments, photos of the grandkids, wedding photos, and so much more. Our spiral bound calendar can be designed with dozens of photos showcased on personalized collages for each month of the year. Photo calendars also make great gifts for coworkers and students. Everyone has a busy schedule so why not give them a useful gift that incorporates some of their fondest memories. We offer a wide range of custom options so you can design the perfect calendar that fits their personality! As you can see, there are so many reasons to create your own calendar. Or, you can design them as gifts for friends and family. Our online calendar maker is so simple to use that you can finish your calendar layout in no time. Select from different background options and photo arrangments to incorporate your own flair into your design. From wedding photos to pet snapshots, you can keep those cherished memories alive while staying up-to-date with upcoming events. So, upload those photos today and design a practical keepsake that you can enjoy for the entire year!